Dubai, U.A.E. 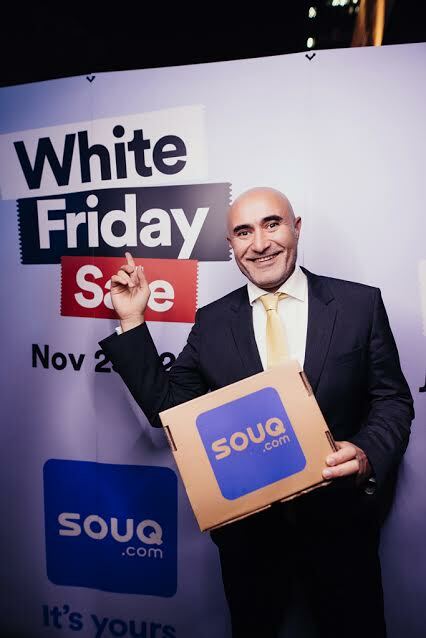 : SOUQ.com, the largest online retail and marketplace platform in the Middle East, announces that White Friday this year doubled last year’s sales with 1.2 million items sold between 23 and 26 November across the GCC and Egypt. SOUQ.com also confirmed five times more new buyers everyday on the platform with a sales conversion rate at twice the daily average. Further, 75% of the sales came from the fashion and lifestyle categories, while electronics accounted for 25% of the sales. White Friday 2016 also saw a phenomenal 60k units sold from the newly launched ‘SOUQ Superstore’ – with many FMCG brands selling out within hours – far surpassing expectation, highlighting the trend towards online grocery shoppingtrend. The biggest online shopping extravaganza in the region saw four items sold per second with 10 times more traffic and sales than the daily average on the website as well as the app. Mobile commerce continued to be a huge driver for growth, with over 50% of the sales coming from the mobile app. White Friday 2016 saw a remarkable upsurge in credit card payments at 37%, highlighting the rising trend and consumer shift to online payments. More than 1,500 of the world’s leading brands and companies sold their products at unbeatable prices and offered special deals during White Friday 2016 led by partners such as Unilever, Samsung, Mars, P&G, RB, PepsiCo, Hisense, Lenovo, Philips, Kenwood, Redbull, Johnson & Johnson, Henkel, One Plus, Xiaomi, Nivea, Nestle, Moulinex, Sun & Sand Sports, Futtaim Group, Apparel Group, Hokair Group, Landmark Group, Intel, Microsoft, and Redington. In 2014, SOUQ.com introduced Black Friday to the Middle East for the first time, naming it White Friday. Following SOUQ.com’s unprecedented White Friday success, numerous other online and bricks and mortar retailers in the region are following suit and launching their own White Friday sales. SOUQ.com is the largest online retail and marketplace platform in the Arab world, featuring more than 2 million products across 31 categories such as consumer electronics, fashion, health and beauty, household goods, and baby. Today, SOUQ.com attracts over 45 million visits per month, with localised operations in the KSA, UAE and Egypt.